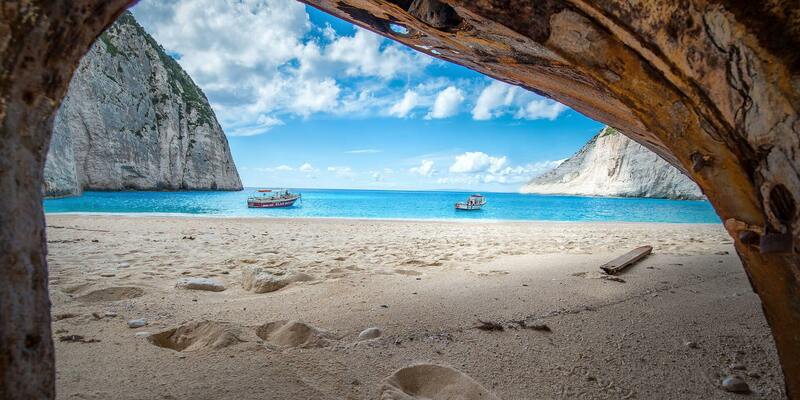 Zakynthos, also known as Zante, is the third largest and the southern-most of the six main Ionian Sea islands. It covers an area of 406 km2 (158 mi2) and its coastline’s length is about 123 km (76 mi). 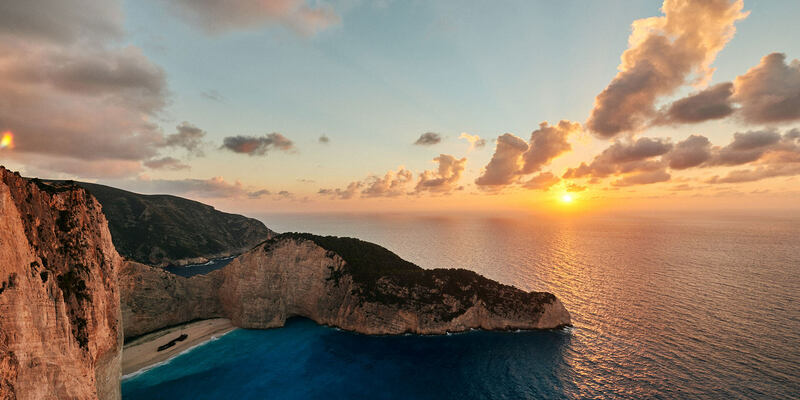 The capital is the town of Zakynthos, having the same name as the prefecture. Apart from the official name it is also called Chora (meaning “the Town”, a common denomination in Greece when the name of the island itself is the same as the name of the principal town). According to the 2011 census, the island has a population of 40,759. The island’s port is also located in Zakynthos town. The Solomos Square surrounded by buildings with characteristic traditional architectural features of the island, arch-shaped windows and arcades. The statue of Dionysios Solomos national poet of Greece dominates in the center. Here you can also find the Public Library (with 55.000 volumes) and the Post-Byzantine Museum. The coastal road known as Strata Marina (K. Lomvardou street), which is one of the most frequented part of the city, with cafes, bars and restaurants, from the Solomos Square up to the church of the patron-saint Aghios Dionysios. The Aghios Markos (San Marco) square. Here, in 1797, the revolutionaries (popolaroi) burnt the Libro d’ Oro and planted the tree of freedom. This paved square is the main meeting point for locals and visitors. Here you will also find the Museum of Solomos, Kalvos and Eminent Zakynthians. 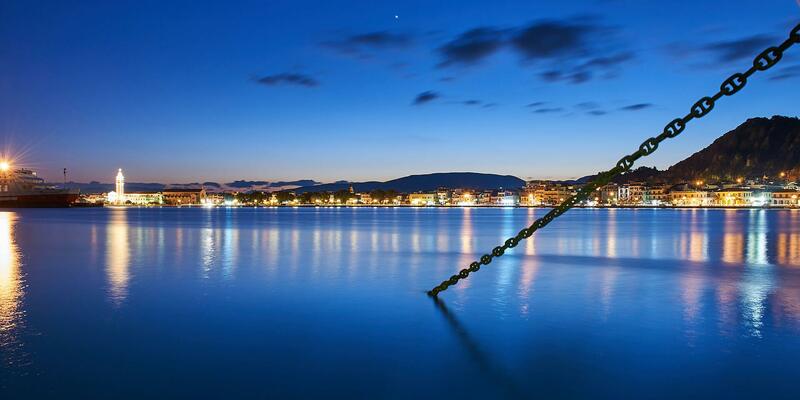 Rouga: Its name is Alexandros Romas street, starting at Aghios Markos Square crossing almost the whole town. This street with the arcades has been the main commercial center of the city for centuries. The Post-Byzantine Museum of Zakynthos in Solomos square, exhibits treasures such as statues trimmed with gold, icons and art woodcuts. The Venetian Castle situated on Bochali hill overhanging the town in the place of the old acropolis. Strani’s hill (Lofos Strani), 2 km away from the town, offering a great view. Here, the poet D. Solomos inspired the “Hymn to Liberty” (later the Greek national anthem) and the “Free Besieged” attending the siege of the city of Messolonghi. 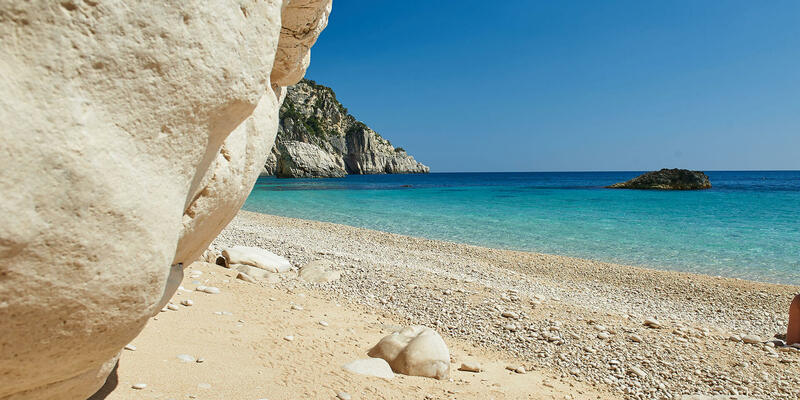 Zakynthos is a verdant island endowed with fertile valleys and a temperate climate. 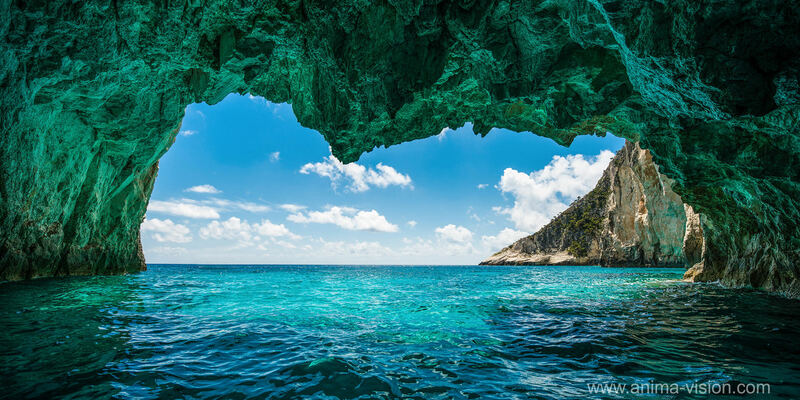 Its landscape diversity has resulted in different types of beaches: there are sandy beaches in secluded coves where the tranquil waters are deep blue on the island’s southeastern part; yet, if rugged cliffs and an interesting underwater world are to your liking, try the western part of the island. 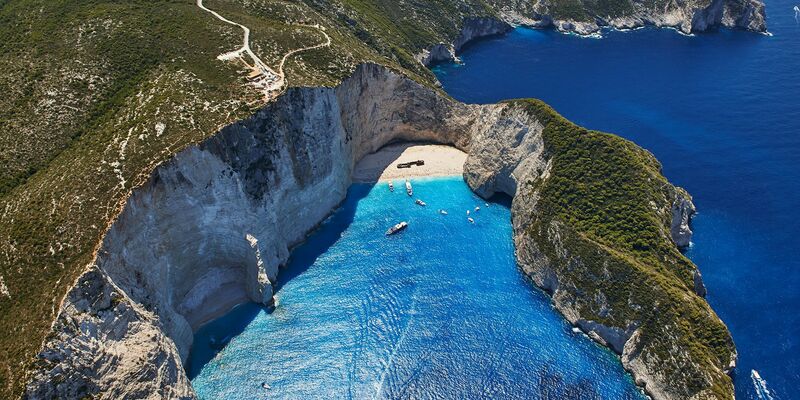 The Venetians ruled Zakynthos from 1484 to 1797. 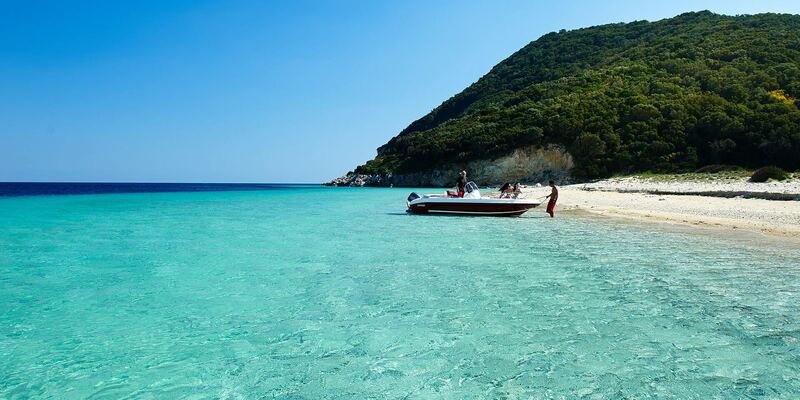 They used to call the island “Fioro di Levante” (flower of the East) because of its beauty and due to the fact that there are over 7,000 species of flowers on the island. 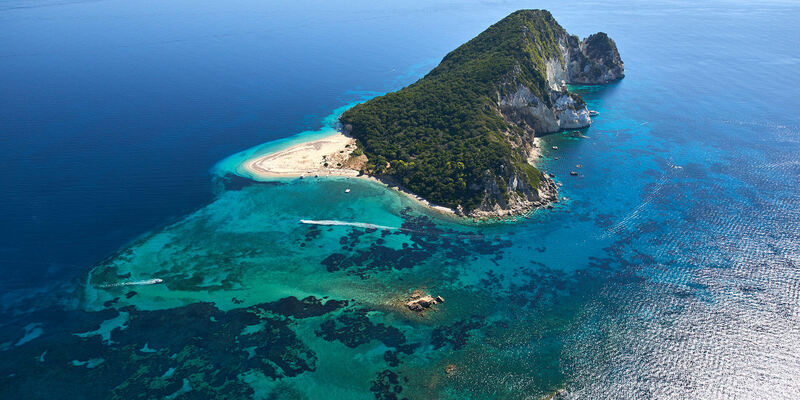 Zakynthos was named after Jakynthos who is said to have been the island’s first inhabitant. He was the son of Dardanos, ruler of the ancient kingdom of Frigia. The ancient acropolis was attributed to him. A Venetian fort was built at later times on the same site. 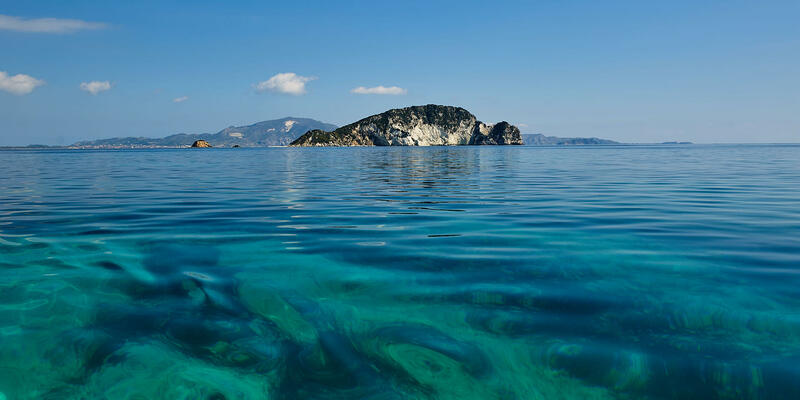 The Venetian architectural influence has left its stamp on Zakynthos despite the damage sustained by the seismic activity in the area. After the catastrophic 1953 earthquake and the fire that followed, a vast number of historical buildings and churches burned to the ground. Consequently, the significant treasures these buildings were housing perished. The town was rebuilt according to a plan where strict anti-seismic specifications applied and, to a large extent, respecting the town’s former architectural structure.